We spend a lot of time interacting with architecture – from the buildings in which we live, work, and play, to the spaces we move through, to get from A to B – but we don’t often stop to consider the way in which architecture affects the way we live. Good design can improve our quality of life. Sometimes it’s in spaces that encourage social interaction and support a connection with neighbours, strangers, and friends. Sometimes it’s in the presentation of natural light, giving us a stronger connection to the outdoors, through all four seasons. Sometimes, as with the case of the atrium, it’s both. Atriums (or ‘atria’ to use their correct plural term) have been around for centuries. The Romans (who knew a thing or two about architecture) used them to provide light and ventilation to interior spaces. Today, architects use them as a tool to help bring a building to life. 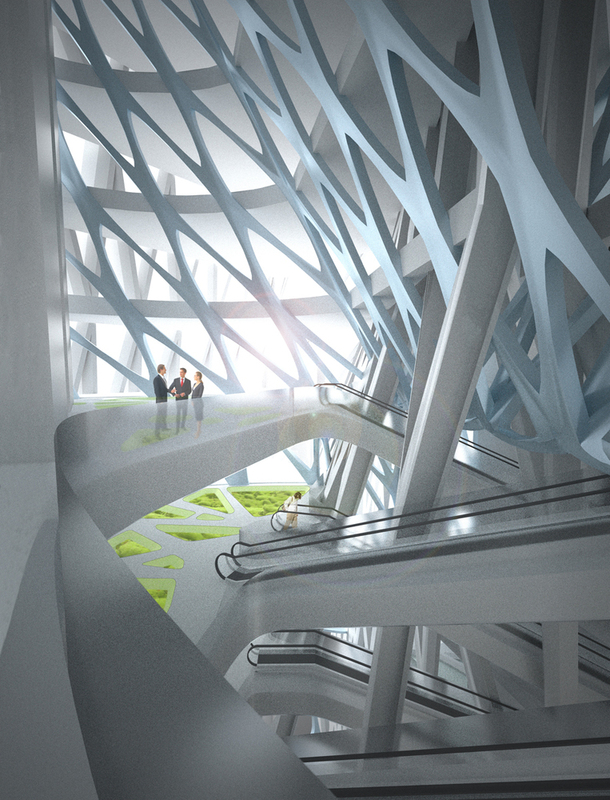 The plans for 300 Bloor Street West include a stunning central atrium, a brightly-lit, multi-use space where residents and visitors can work, mingle, and interact under natural light, twelve months a year. To celebrate, we’re taking a look at some extraordinary examples of atria from around the world. 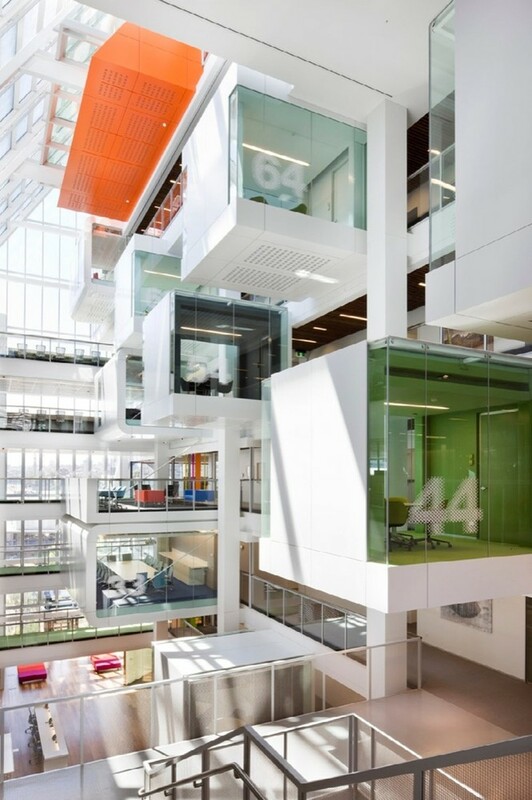 This ten-storey atrium features 26 distinct ‘meeting pods’ that support the collaborative working style at Macquarie Bank. 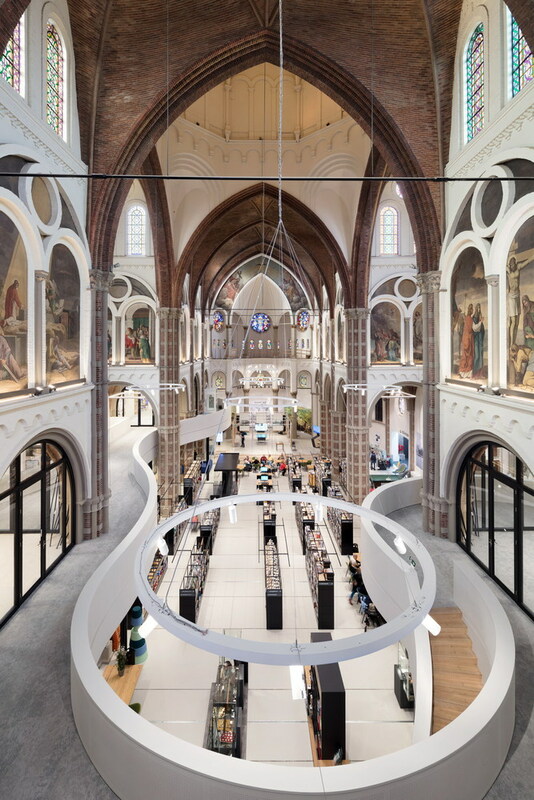 This Richard Meier-designed space in The Hague city hall offers year-round free events including concerts, lectures, and exhibitions. Light streams in from all sides and through the glass roof, reflecting off the minimalist white walls. 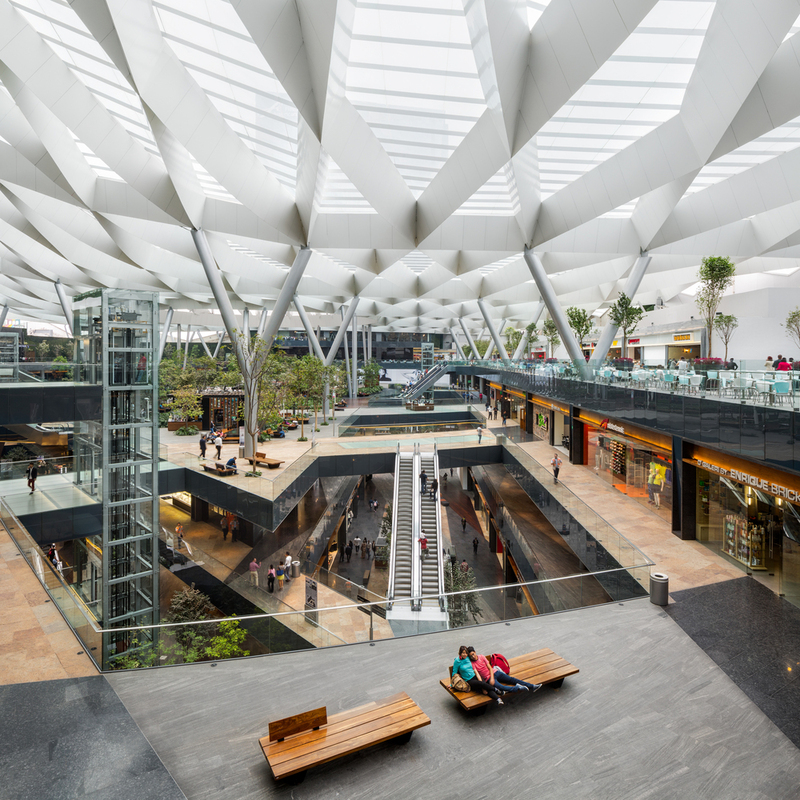 The atrium in this mixed-use complex mimics “a great park.” Visitors circulate among fountains, trees, retail, and open spaces, providing a site for social encounter and interaction. 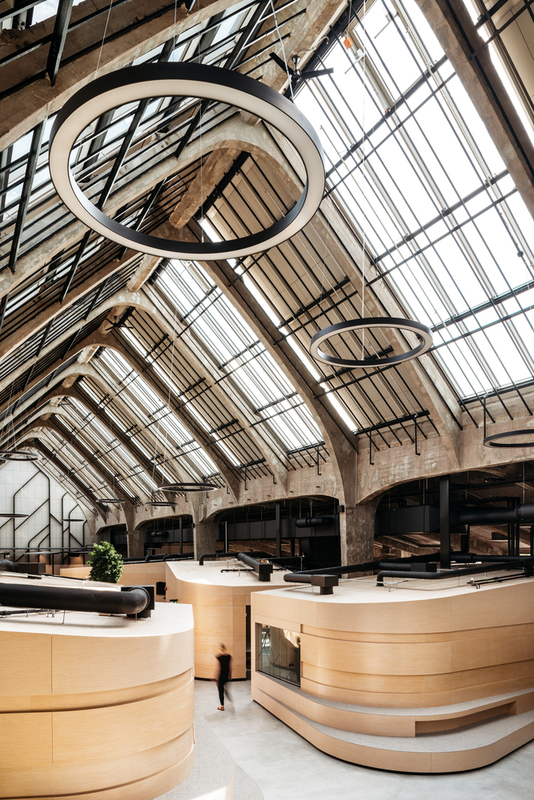 The redevelopment of an existing warehouse led to a high-performance, energy-efficient building with a “commons” at its heart. 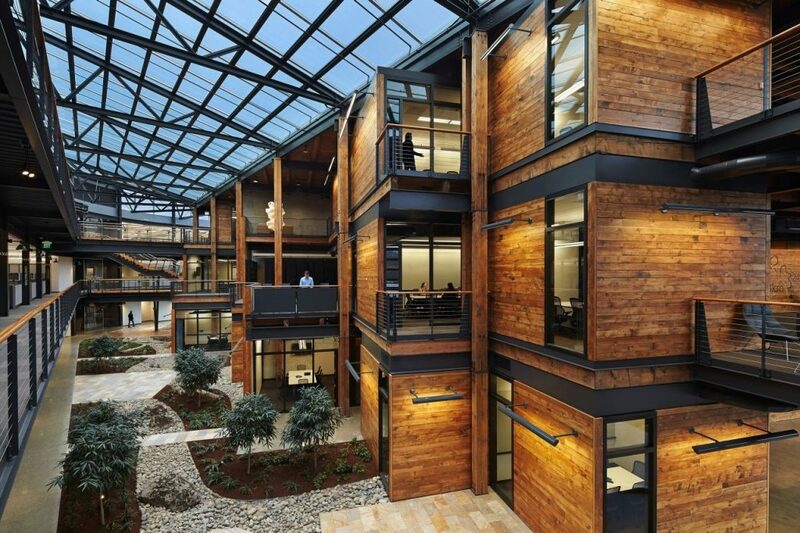 Reclaimed timber is a focal point in bridges and stairs that connect people across the building, and create informal seating and work areas to encourage communication and collaboration. Don’t let the umlauts throw you off, the atrium at the Äripäev Office in Estonia’s capital is actually strikingly simple. Using birch veneer, plywood boards, and existing concrete posts, beams, and ceilings, the space highlights the unique building construction, while abundant natural light and intermittent trees create an outdoorsy feel. 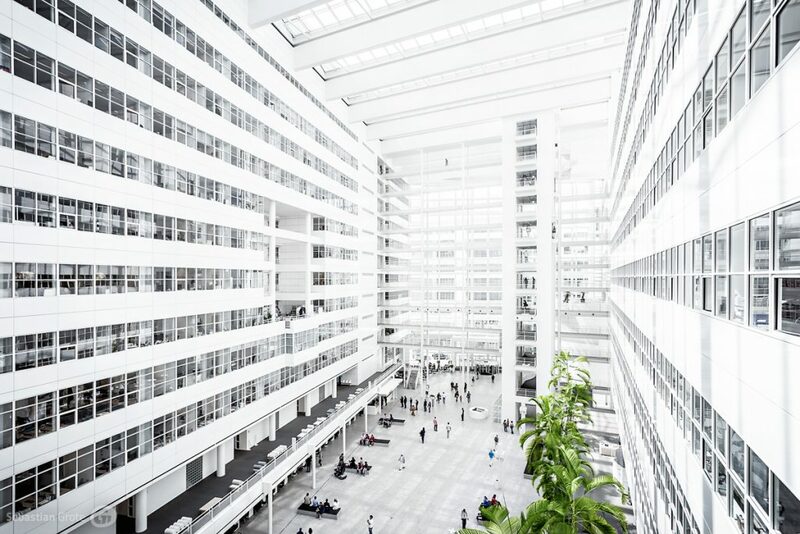 At the United Nations office in Copenhagen, a daylight filled central atrium connects the lobby and the offices. 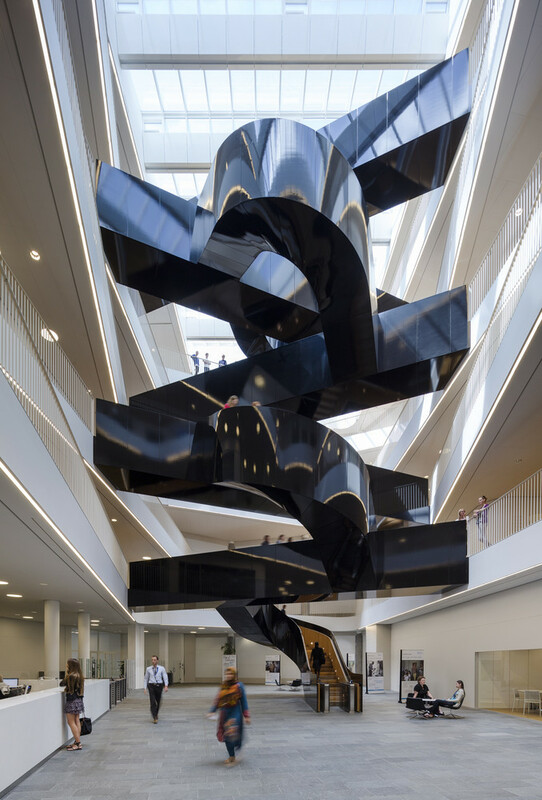 A dramatic sculptural staircase is a symbol of the UN’s work to create dialogue, interaction, and positive encounters between people in all parts of the world. It also inspires employees to take the stairs, encouraging a healthier quality of life. Light and air quality in these Manhattan towers are improved via daylight channeled through the central branching atrium and bio-filtration terrariums that act as the buildings’ lungs and provide clean air to occupants. 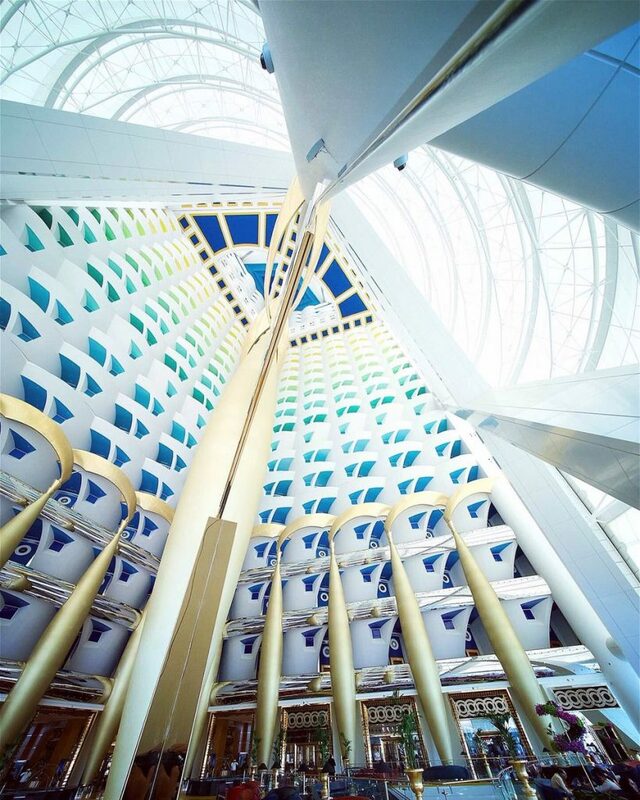 The nearly 600-foot-tall atrium at the Burj Al Arab is the tallest in the world. No detail has been ignored – even the undersides of tier after tier of semicircular balconies reveal a spectrum of colours, creating a visual delight for viewers in the lobby below.